Ground-penetrating radar (GPR) is one of the main non-destructive techniques at the disposal of modern archaeologists. 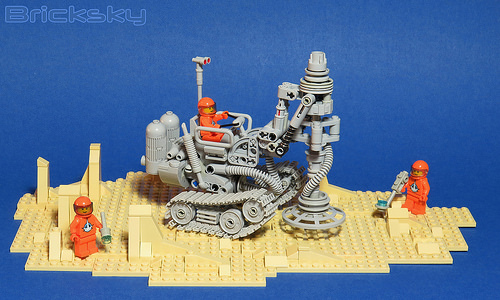 While Tyler Sky says that this crew of LEGO space scientists are on a geomorphology survey expedition, I like to imagine that they’re xenoarchaeologists hoping to discover buried alien civilizations. Built in realistic grey, the GPR vehicle evokes the retro-futuristic vibe of Classic Space LEGO, while the shape of the sensor array on the front appears to be eminently practical.